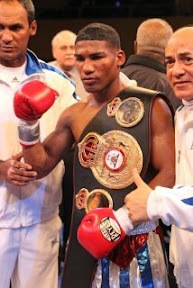 The World Boxing Association has stripped Yuriorkis Gamboa of his "super champion" title belt at featherweigh. The WBA wil no longer recognize unbeaten featherweight Yuriorkis Gamboa as the unified 126lb champion. The WBA world championship Committee, decided to vacate the championship because Gamboa did not comply with regulations in defending his IBF belt against Jorge Solis, which resulted in that title being vacated. Gamboa was at number two in the May rankings of the WBA, behind Celestino Caballero. Chris John is also a WBA "super champion" at featherweight and Jonathan Barros is the WBA "regular" champion at featherweight.